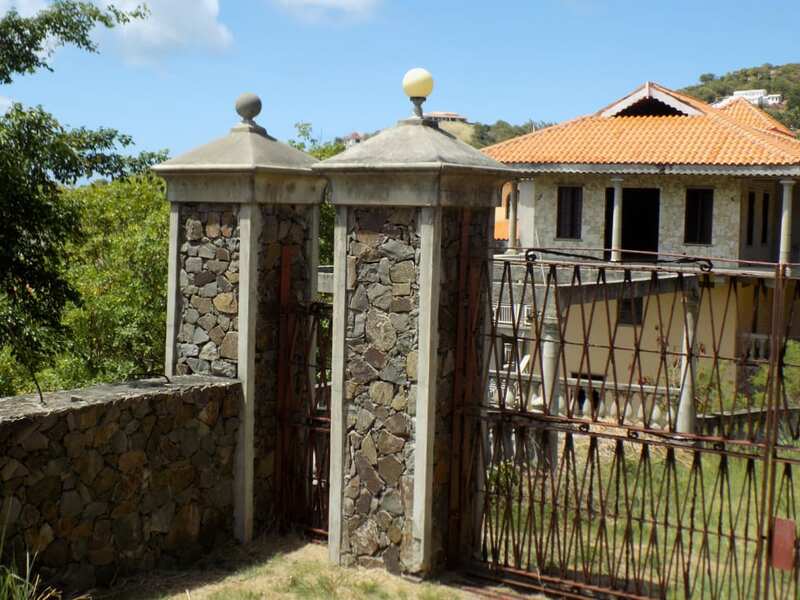 A spacious three level villa, ideally placed on a 3/4 acre lot. 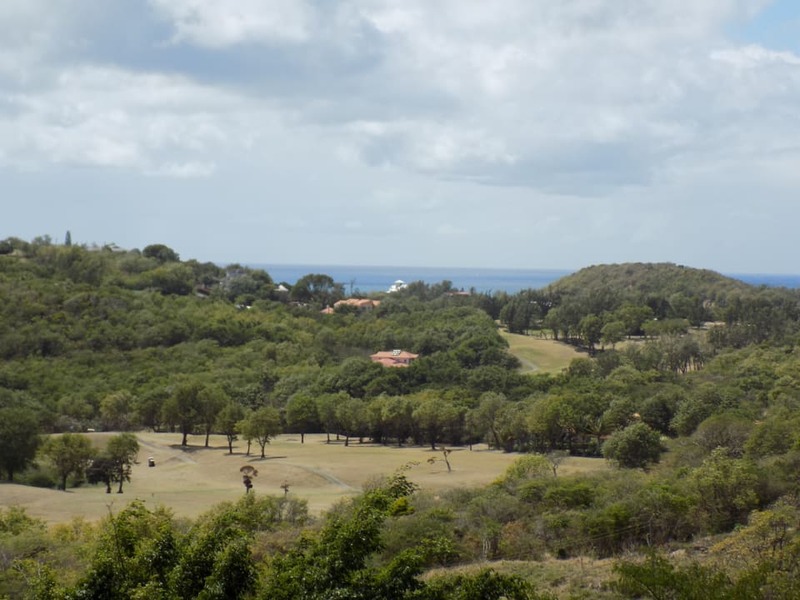 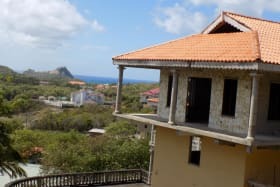 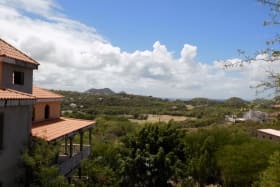 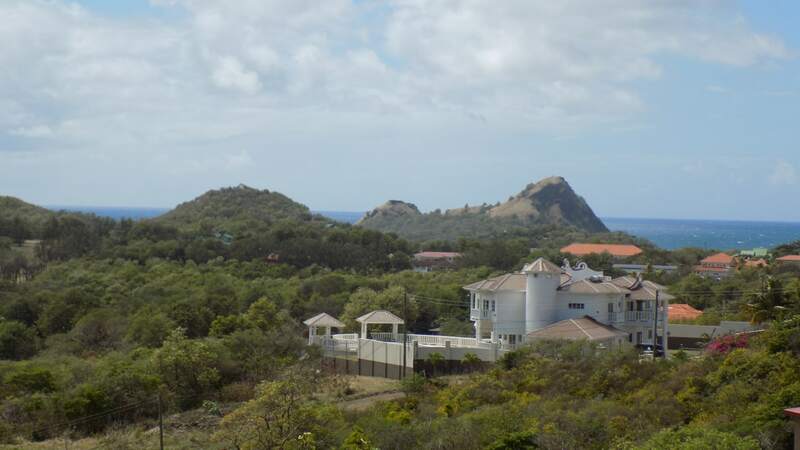 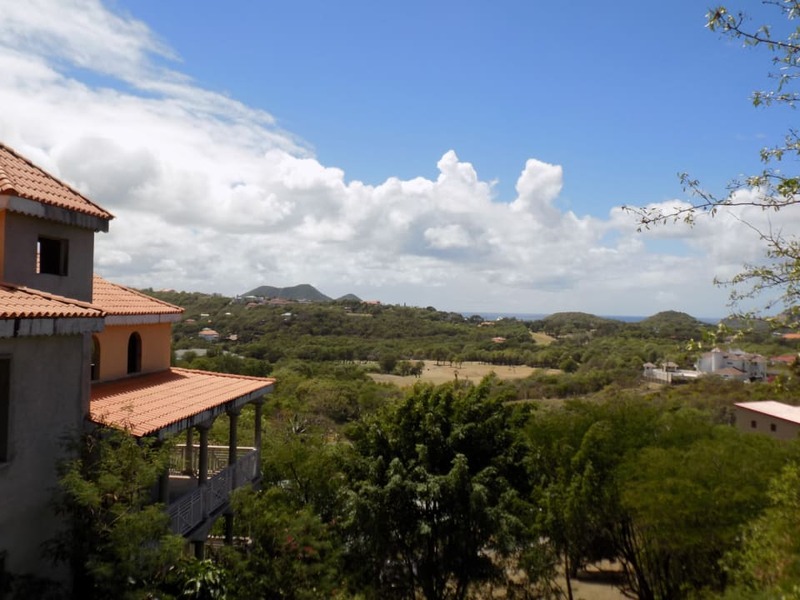 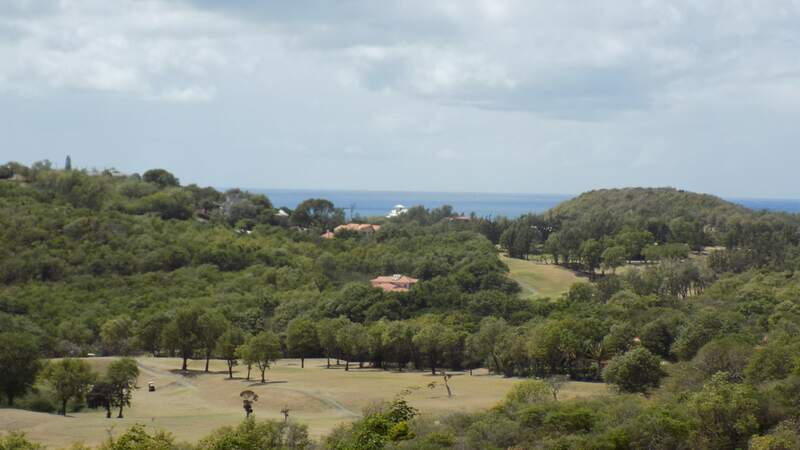 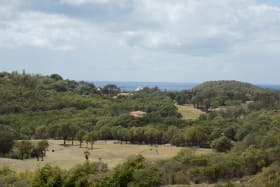 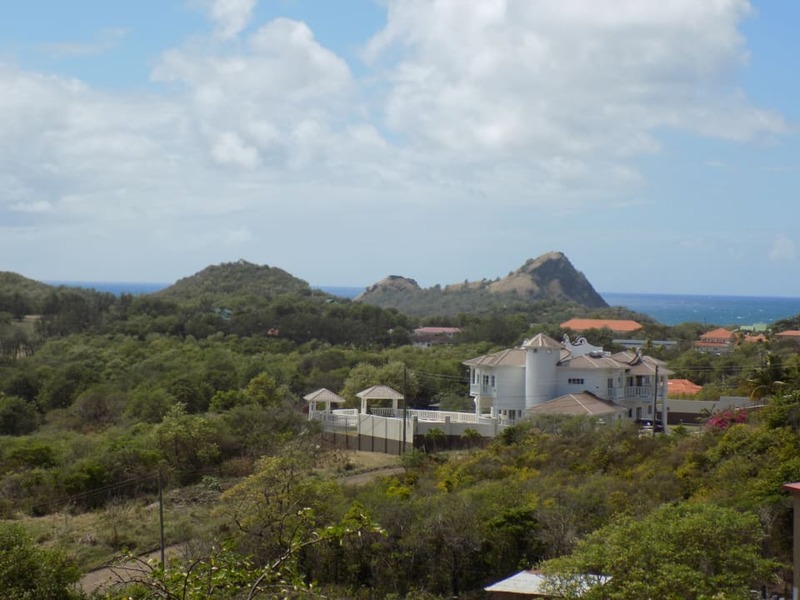 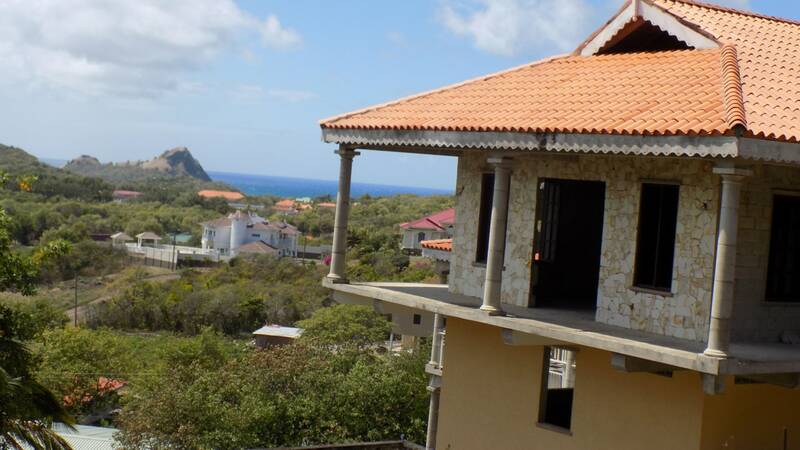 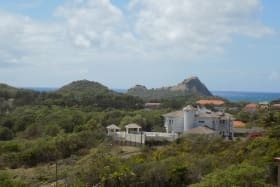 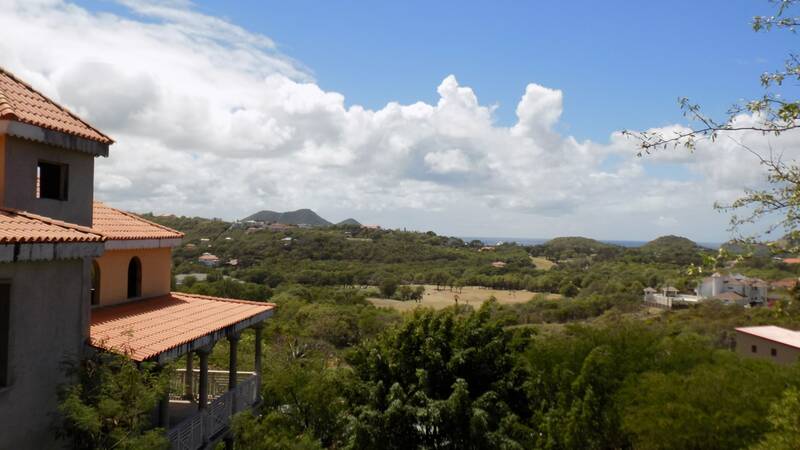 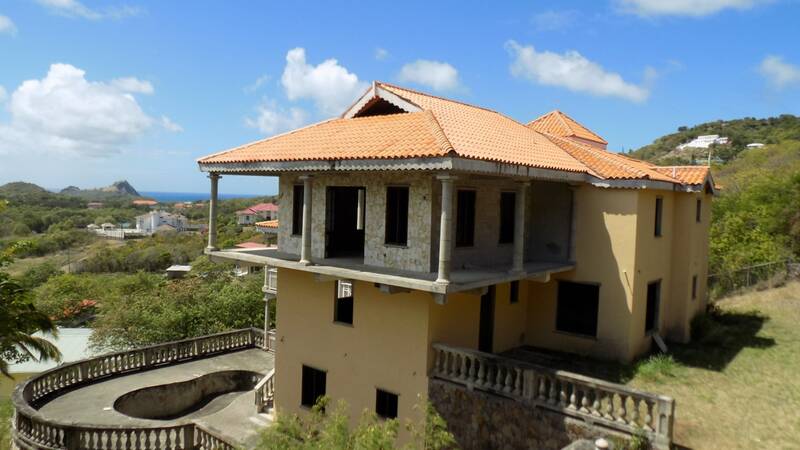 The open plan design gives way to superb views of the Caribbean Sea and Golf Course. 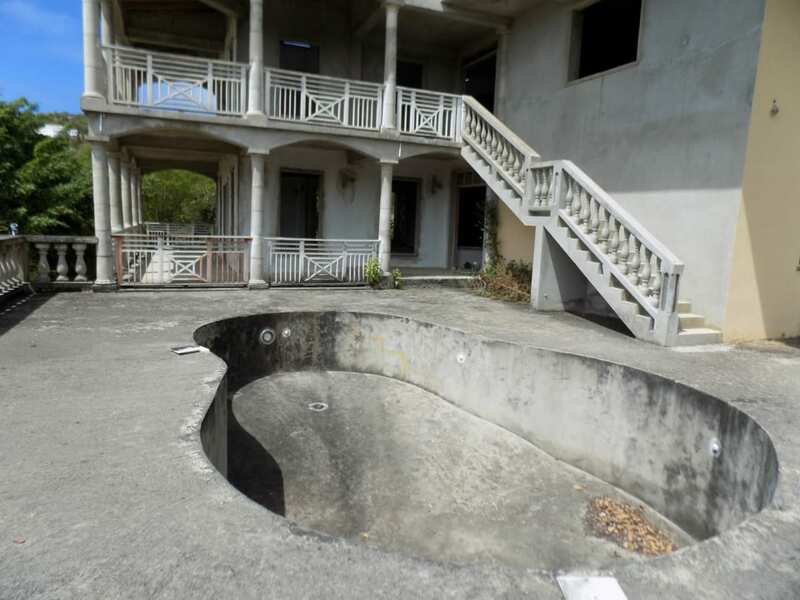 A gem in the rough. 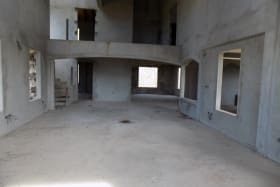 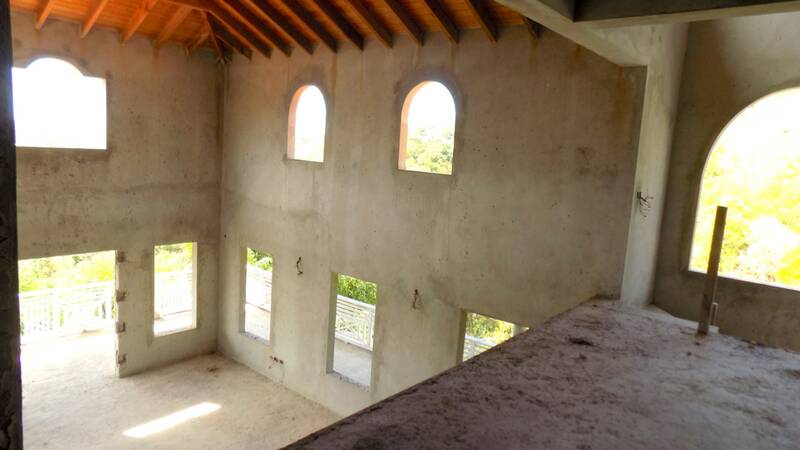 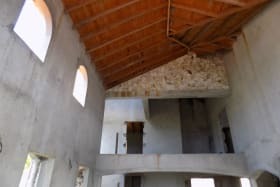 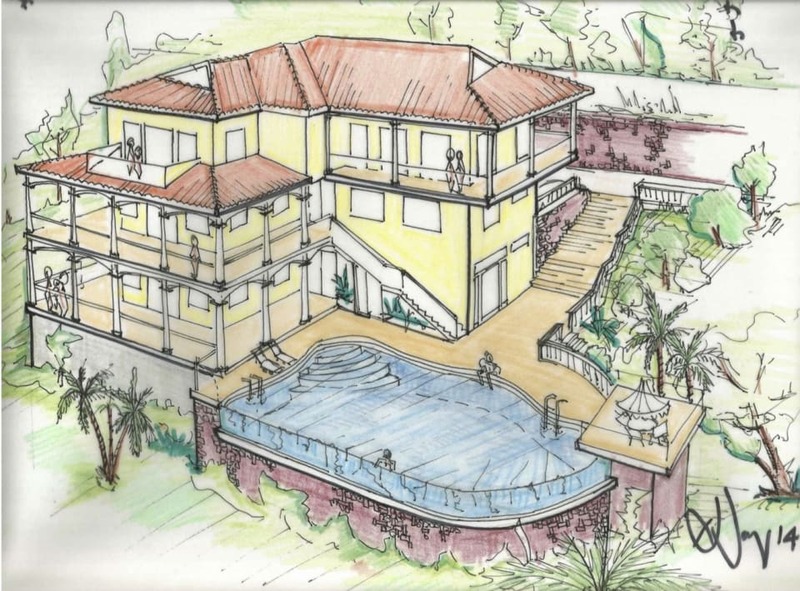 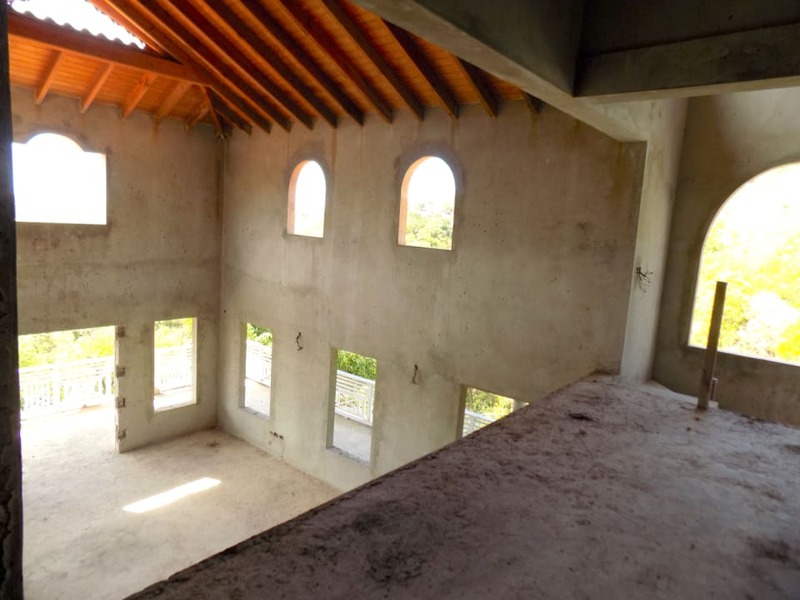 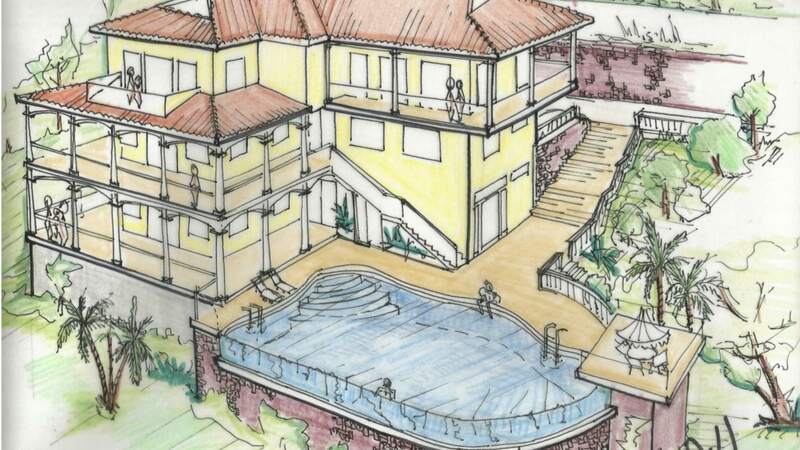 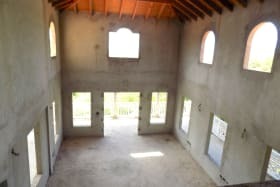 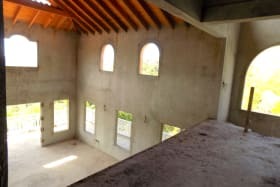 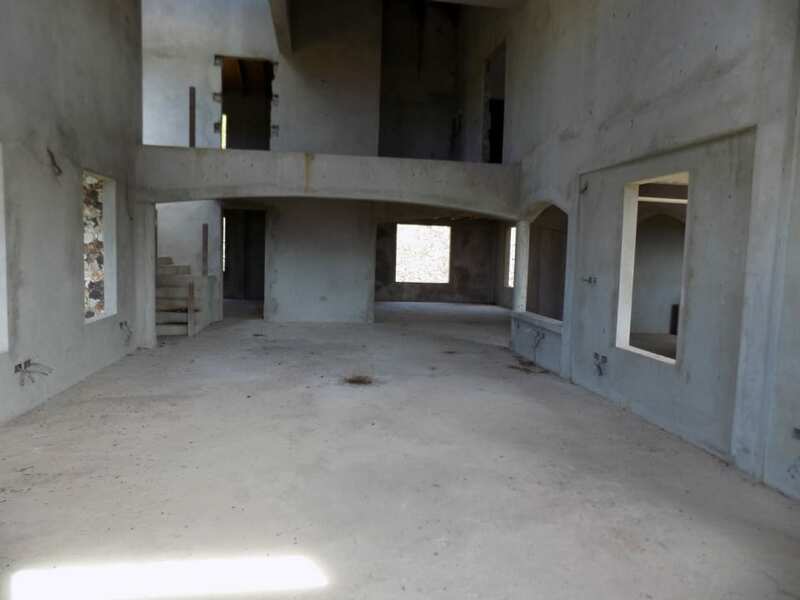 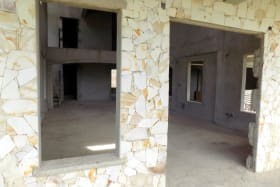 A spacious partially completed villa on three levels. 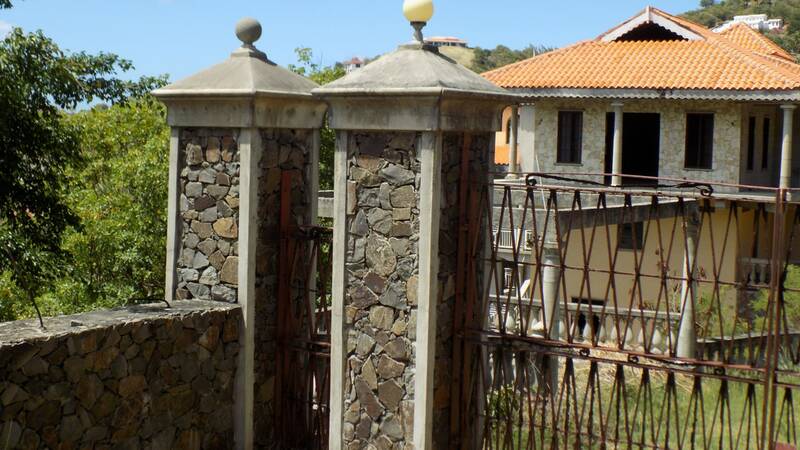 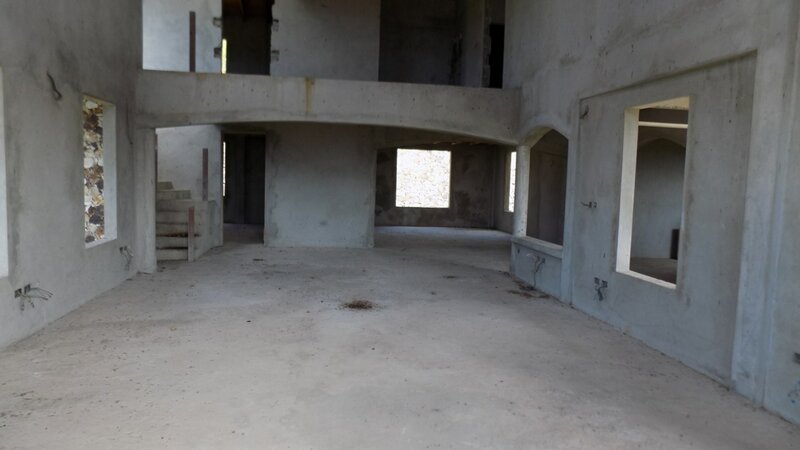 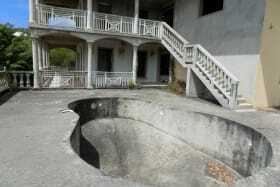 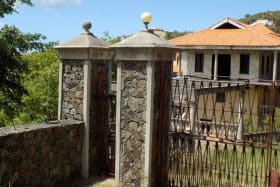 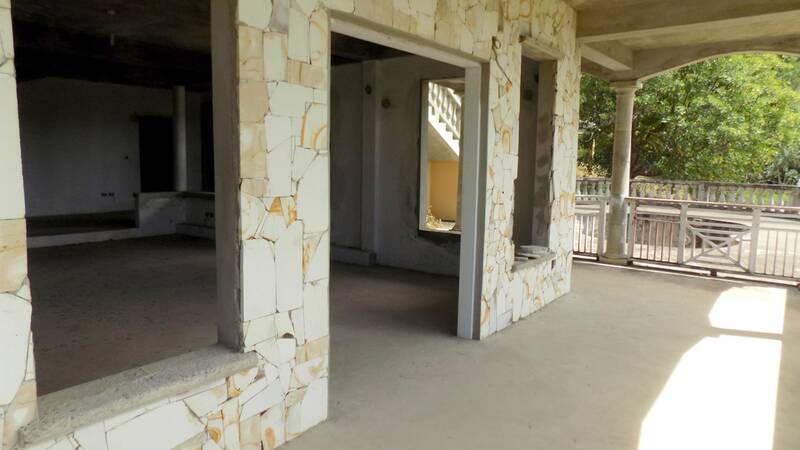 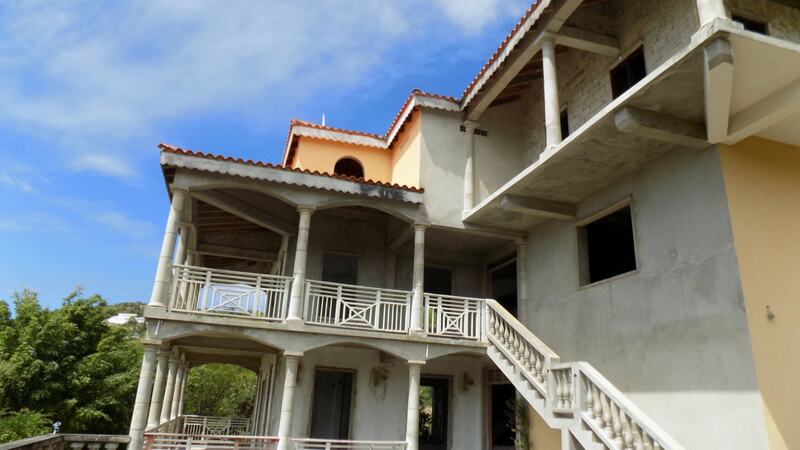 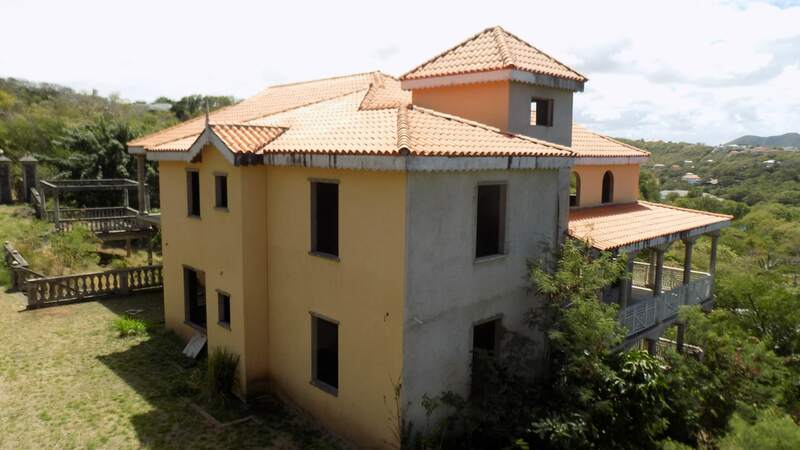 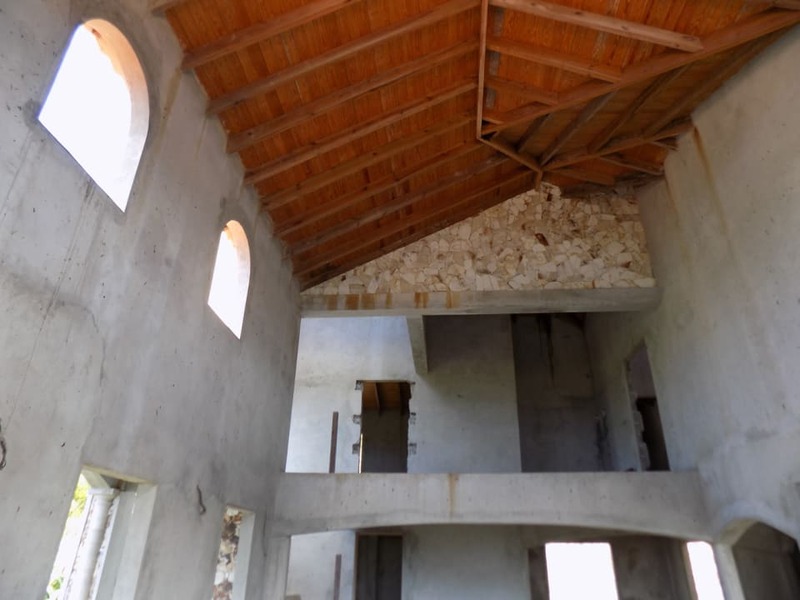 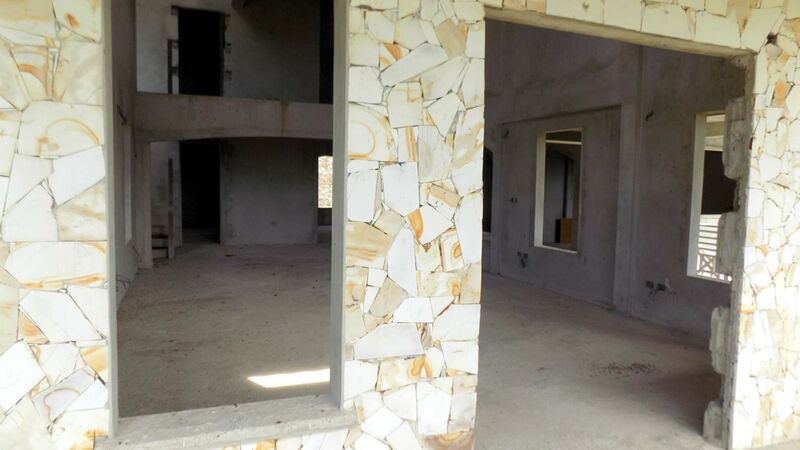 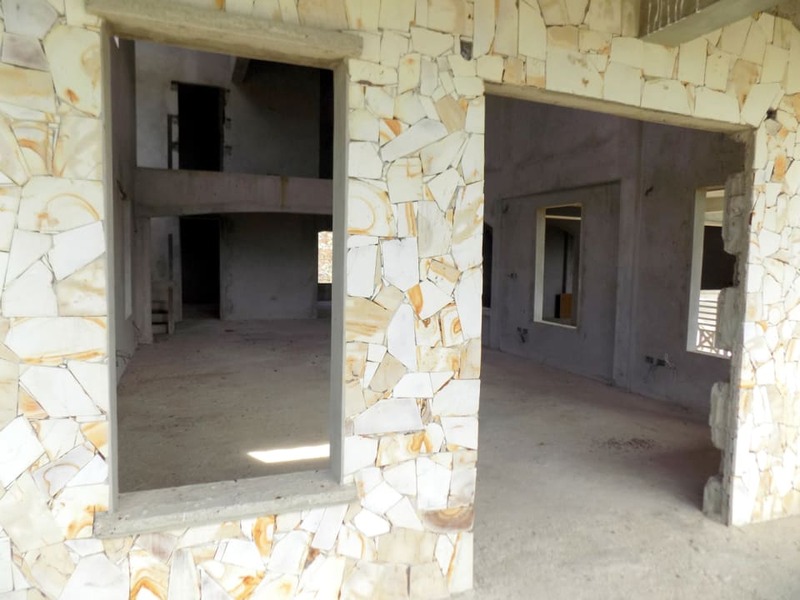 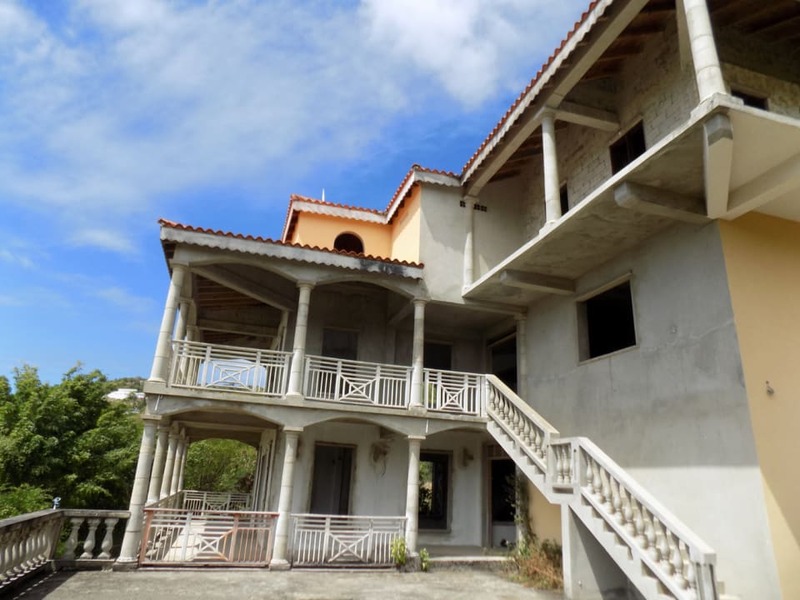 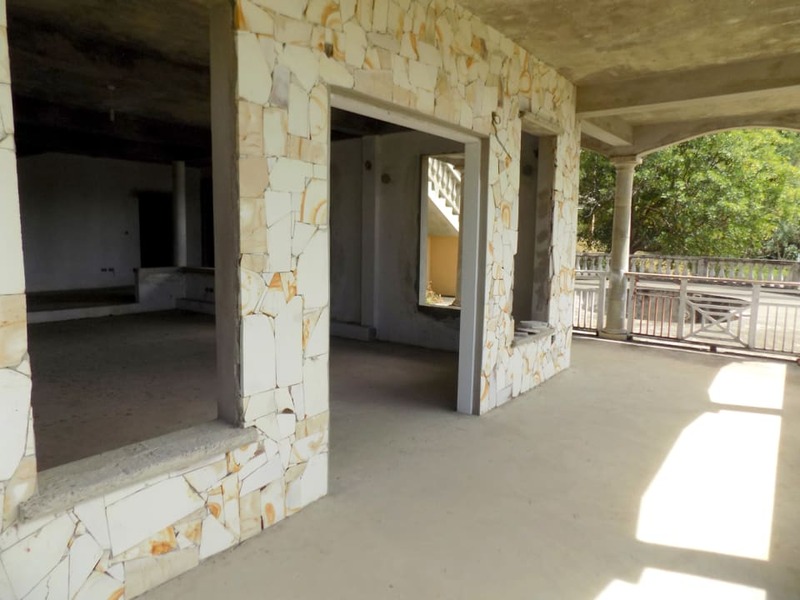 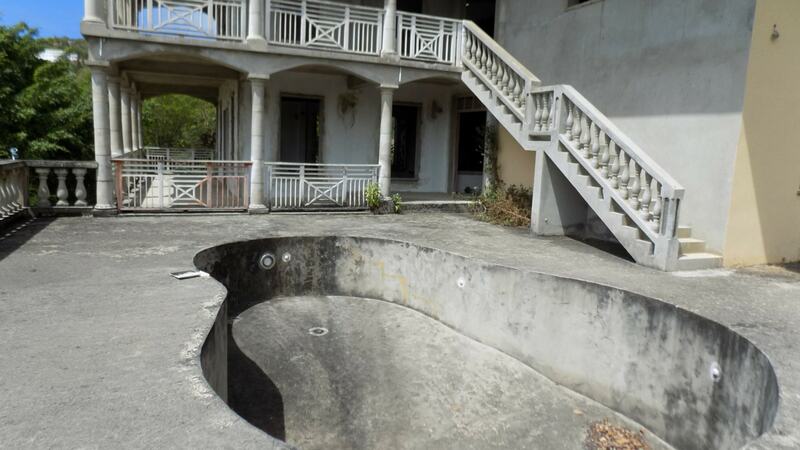 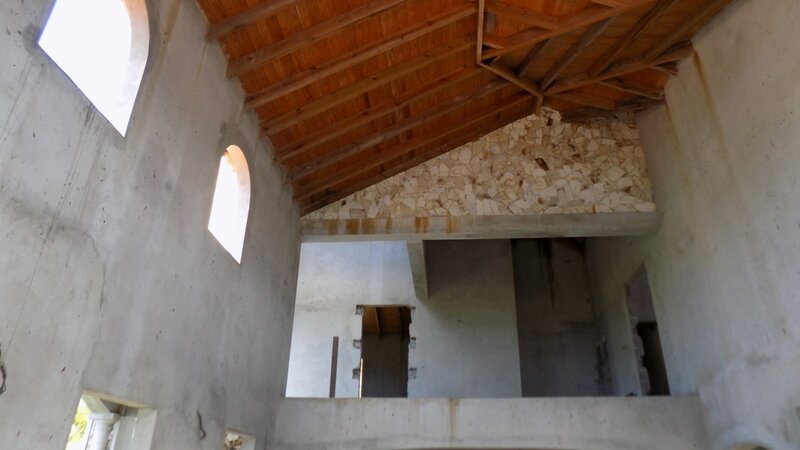 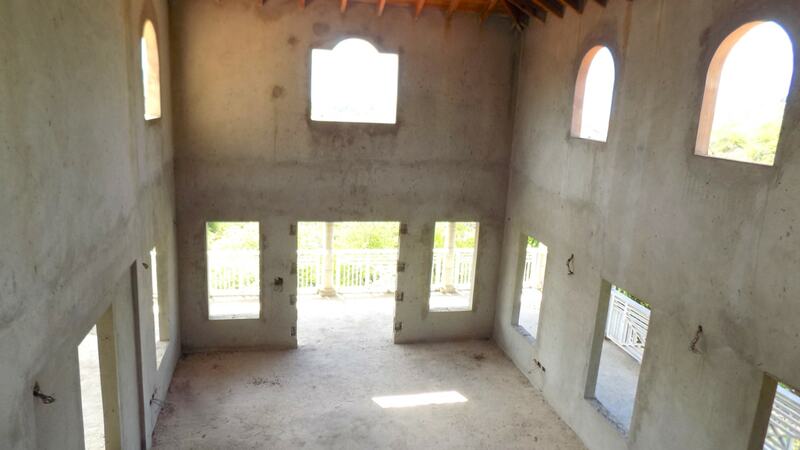 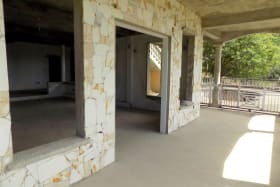 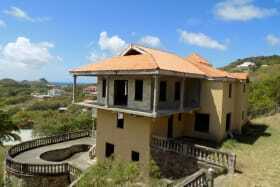 This property occupies a large estate lot, and is of sturdy concrete and stone construction. 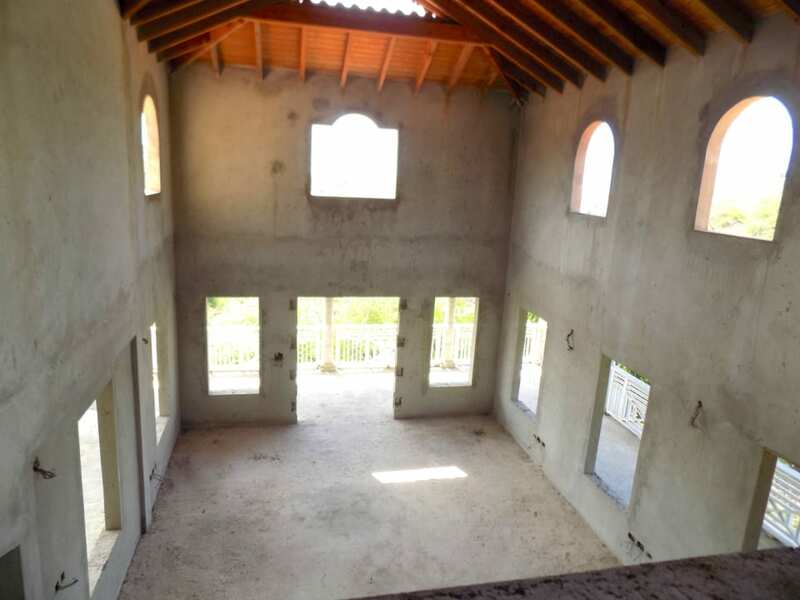 The villa embodies an open plan concept with additional guest bedrooms, and areas for entertaining. 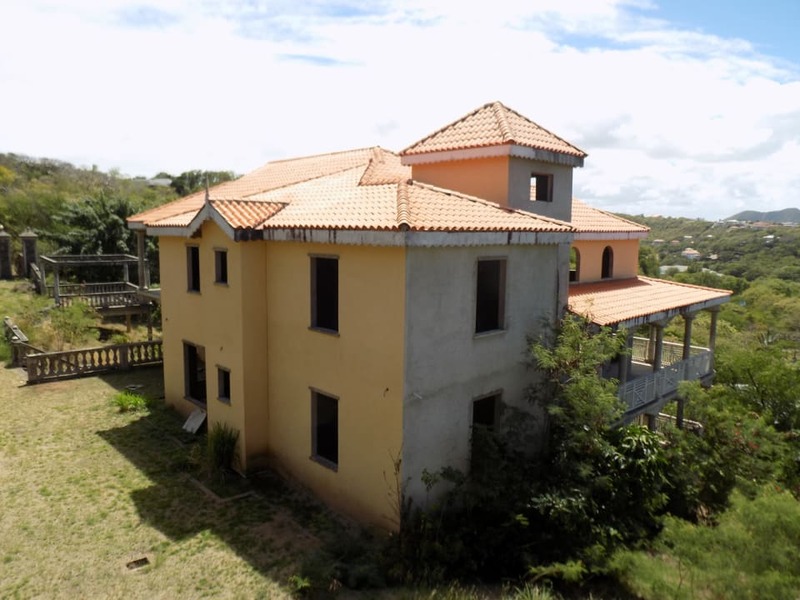 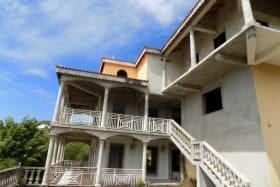 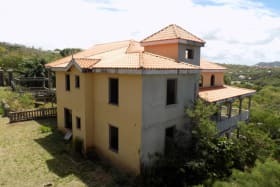 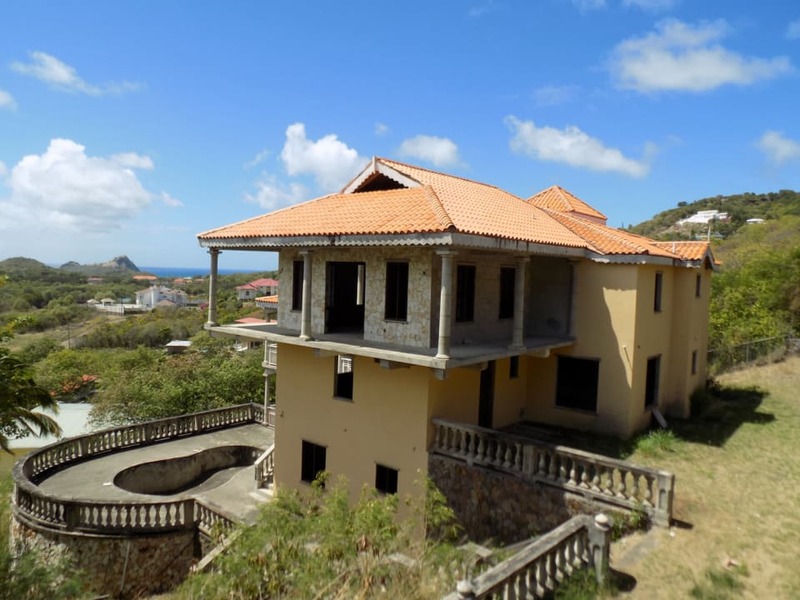 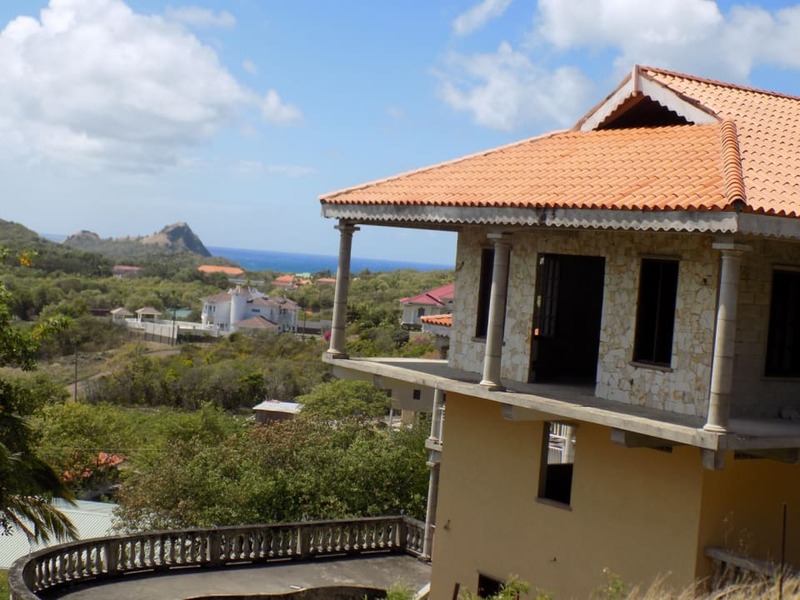 Suitable as a large family home; or easily converted into 3 income generating apartments; one on each level. 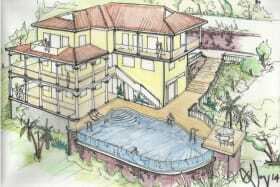 Design concepts and floor plans are available to the future owner.